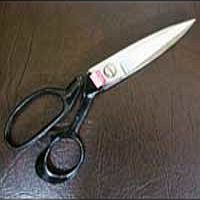 We bring forth a wide range of Tailor Scissors that is used by clients. 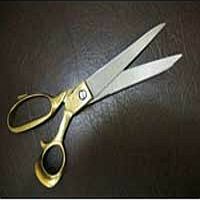 We are one of the leading fabric cutting scissors exporters from India. 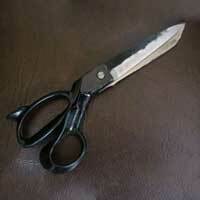 We export all sorts of dressmaking scissors having sharp cutting-edge. These Tailor Scissors have an excellent grip. 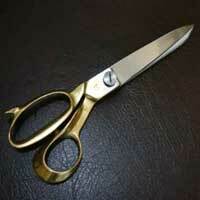 The handle of scissors is obtainable in brass as well as in iron. The blade of scissors is made of high quality Carbonated Steel. 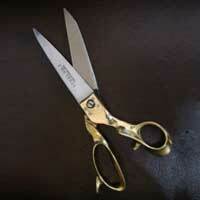 Our Tailor Scissors are great for cutting garment quality leather or fabric and patterns. We are also manufacturing file scissors and ear handle scissors.The Tailor Scissors are available in many types and styles to suit the requirements of the user. 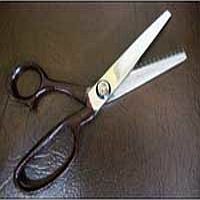 We offer our Tailor Scissors at market leading prices. The Tailor Scissors we offer are resistant to corrosion and rust. Our Tailor Scissors are offered under the Brand Name â��Steelâ��. The German Regular Scissor we offer is sharp and has an excellent construction. These German Regular Scissors are available sat market leading prices. 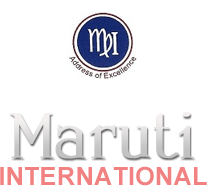 They are used extensively due to their superior quality. The Regular Scissor is available in many types and models. These Regular Scissor are sharp and retain their features even after a long time. The Regular Scissor has an excellent finish. 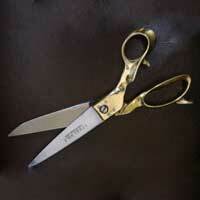 Avaliable in Size 10â��, 11"
The File Scissors are used by clients everywhere. The File Scissor is sharp and retains the features for a long time. The File Scissors are available for clients at reasonable prices. The 12" Special Scissor have an excellent construction and are used due to their superior quality. These 12" Special Scissor have a long life and are easy to use. These scissors are sharp and ideal for cutting heavy fabrics. The Bright Scissor we offer has excellent construction and design. They have a comfortable grip and are easy to use. These Bright Scissor are available at market leading prices. The Zigzag Scissor is available at market leading prices and is easy to use. These Zigzag Scissors are sharp and are made of high quality materials.